Posted in: Radio Control, Traxxas. Tagged: Accessories, RC, Upgrades. 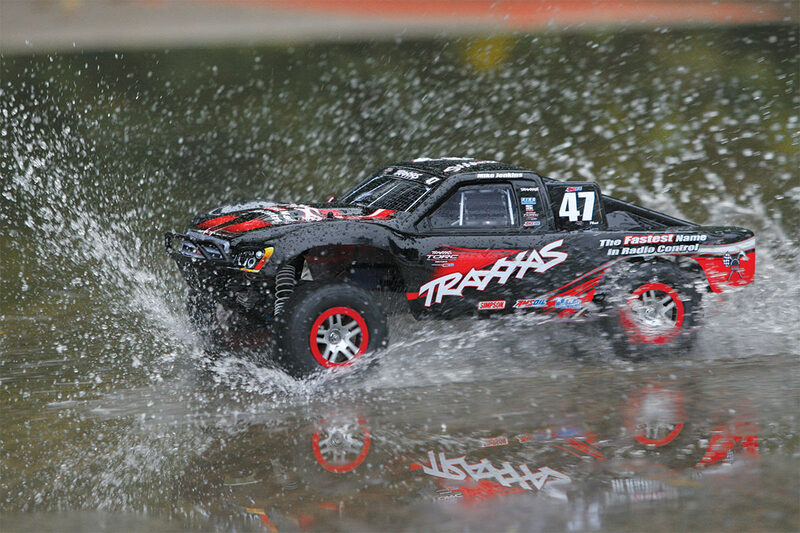 The Traxxas Slash 4×4 is one of the most popular and vesitile RC vehicles on the market. The Slash 4×4 is a solid and reliable machine with Traxxas offering some of the best customer support in the business. Due to its popularity, the aftermarket parts availible for this RC vehicle are countless. You could build a Slash 4×4 and not have a single Traxxas part on it. We are going to focus on some of the more popular upgrades. – Aluminum is durable, looks great and it comes in wide variety of colours, but it is expensive and will add weight to your vehicle. – Not all aluminum is created equal, some products are better than others. Do your research. – Do not under estimate the strength and durability of the plastic RPM or Pro-Line parts. – It is easy to go overboard, remember your budget. – Consider upgrading parts only as you break them. That helps to ensure you don’t upgrade unnecessary parts. – Shop around for prices and support your LHS but also check out online retailers like TheToyz, DollarHobbyz, Amainhobbies, Towerhobbies and Horizon Hobby just to name a few. All of these parts can be found for less than the MSRP. Pro-Line make a quality A-Arm. 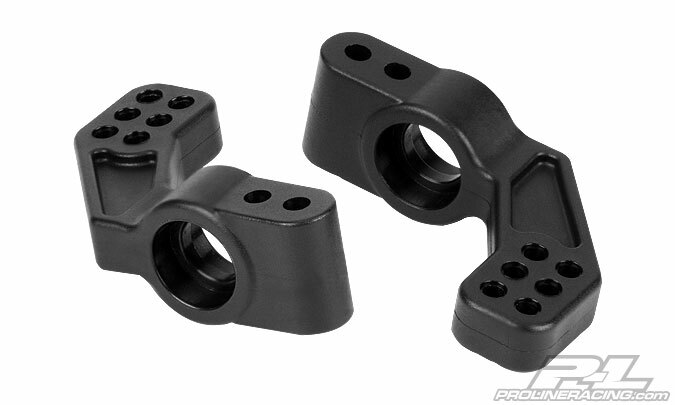 The ProTrac 4×4 A-Arm is Pro-Line Part# 6082-01 and is a direct replacement for the stock part. 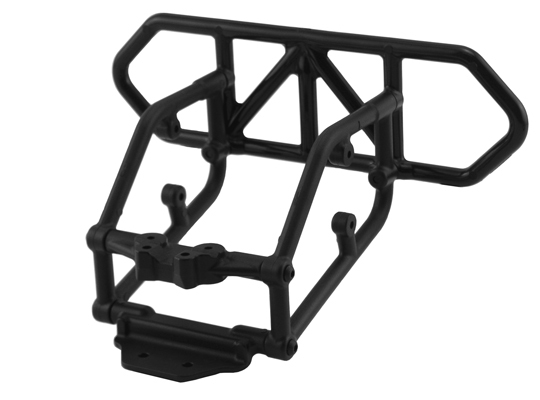 A-Arms can also be found in Aluminum from STRC, Golden Horizons, Hot Racing and others. Just look around and ask questions, read reviews to ensure proper fit and durability. If you do any kind of driving you will eventually break your Bearing Carriers and/or Caster Blocks. The carriers and blocks can be found as either plastic or aluminum. My personal preference is aluminum on all four corners, but if you want to save some money, I recommend to just use Aluminum on the Front end. A less expensive solution would be to go with the plastic RPM or Pro-Line on the corners. STRC also make Front Aluminum Bearing Carriers Part# ST6837B and Caster Blocks Part# ST6832B. For the Rear you will need Part# ST1952-5B. Available in a variety of colours. You could go RPM on all four corners which would really save you money for other things and you shouldn’t have a problem. For the front you need RPM Part# 73592 (Scroll down) and for the rear you need Part# 80732 (Scroll down). 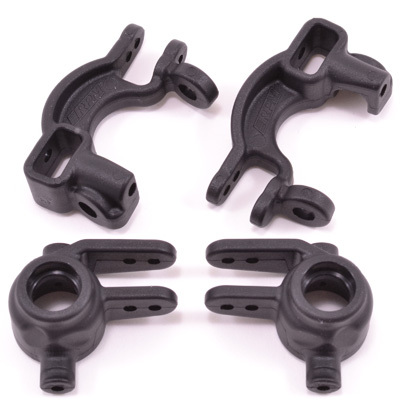 The Pro-Line PRO-2 Front Hub Part# 6101-01 and the Pro-line ProTrac Rear Hub Carriers Part# 6062-05 are also excellent upgrades and provide more setup options over the stock part. The Traxxas stock plastic CVDs wear out quickly. You will get play in the wheels and the slider design will eventually seize up. This can be overcome by sanding the CVD, but many people choose to upgrade the CVD when it comes time to replace them. These upgrades require little to no maintenance and add durability. 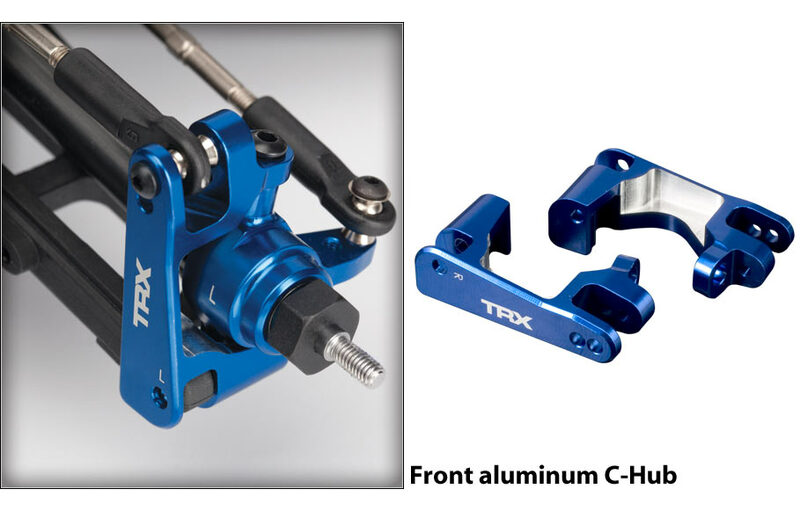 The Traxxas CVD upgrade is a direct replacement. For the front you need Part# TRA6851R and Part# TRA6852R for the rear. 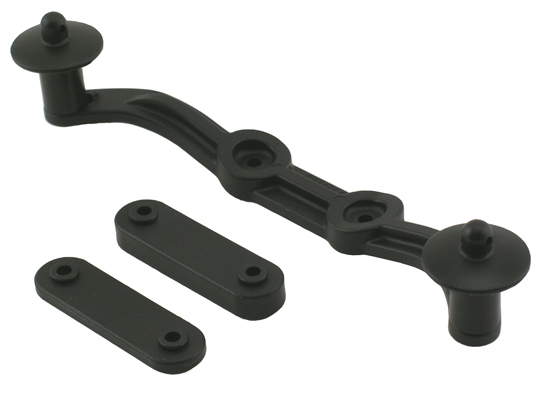 The Tekno RC option will require you to change your bearing carriers in the front and rear, but the Tekno RC kit comes with the needed carriers and bearings. Front Part# TKR6851X and the Rear is Part# TKR6852X. 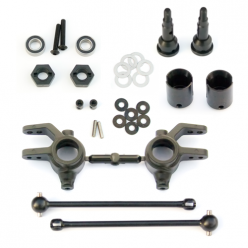 Tekno has you covered if you happen to be using the Pro-line ProTrac Suspension Kit. 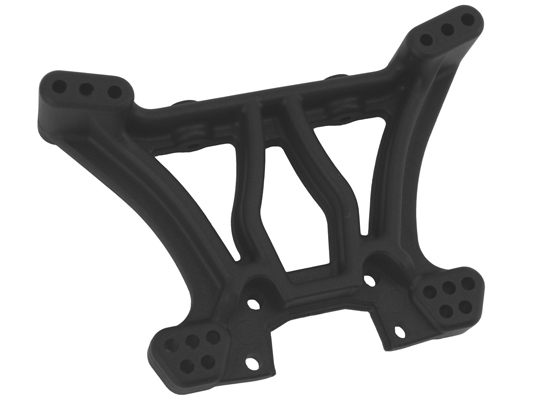 For the Front you need Part# TKR6851PL and for the Rear look for part# TKR6852PL. M.I.P. have 3 different styles; the first one is the MIP X-Duty CVD Kit with keyed axles, it most closely matches the slider style CVD found in the stock setup. Front is MIP Part# 10132 and the Rear is Part# 10130. This is a beefy product and is great if you are hard on your vehicle. You can get the M.I.P. Race Duty CVD as either aluminum or steel. 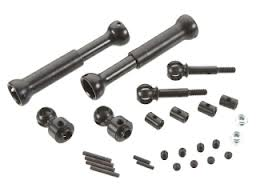 For the Front Aluminum Race Duty CVD use MIP Part# 13105 and for the Rear Part# 13115. For the steel CVD’s use Part# 13260 for the front and Part# 13270 for the rear. The Steel CVD will be tougher then the Aluminum, but it will add weight to your vehicle. This is something that should be considered if your a racer or a basher or something in between. I would consider this the weak spot on the Slash 4×4. The Traxxas design features a 10mm x 15mm x 4mm bearing which will soon seize up and cause damage to your truck (If you use your Slash off-road or expose it to water), the bearing seems to simply be too small for its intended purpose. If you stay with the stock setup, get extra bearings and check this bearing often and swap it out when you notice it begin to seize up. There are different Motor Mounts on the market, but King Headz offer what is arguably the best alternative. 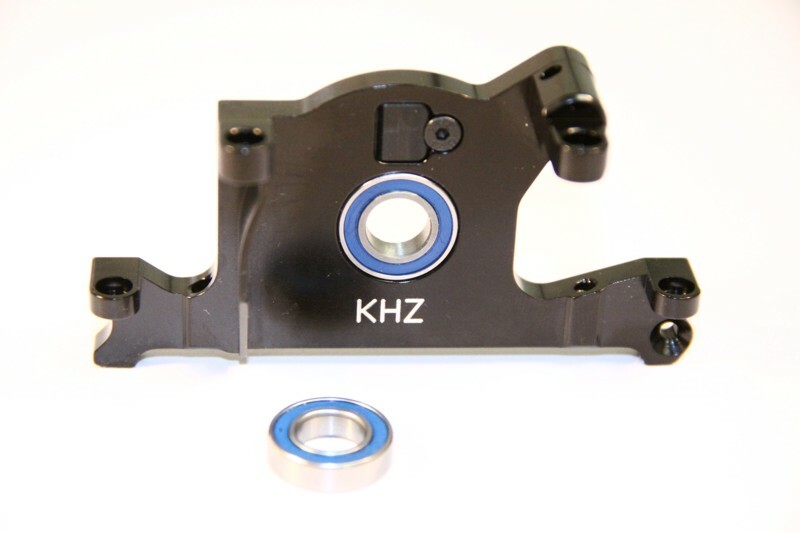 The Aluminum Mount has a oversized 10mm X 19mm X 5mm bearing and a place to mount telemetry. Part# 6860T for the HCG Chassis (Regular Chassis) and Part# 7460 for the LCG Chassis (Rally Chassis). If your Slipper Bearing Adapter happens to be plastic, do yourself a favour and pick up the King Headz one as well. The stock plastic part will melt if the Motor Mount Bearing seizes and this can cause serious damage. Part# 6893. 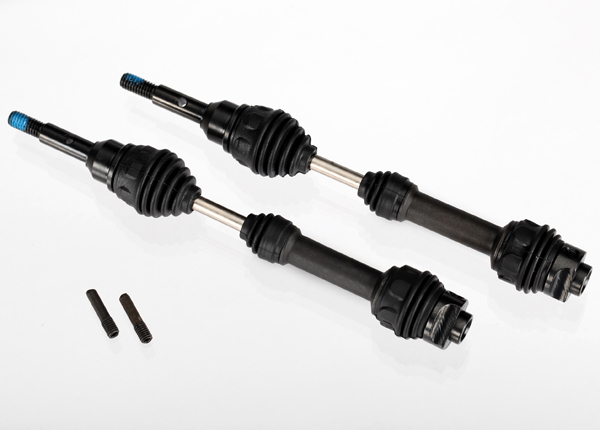 Shocks are upgraded in order to gain better handling, cleaner landing of jumps and improved responsiveness. 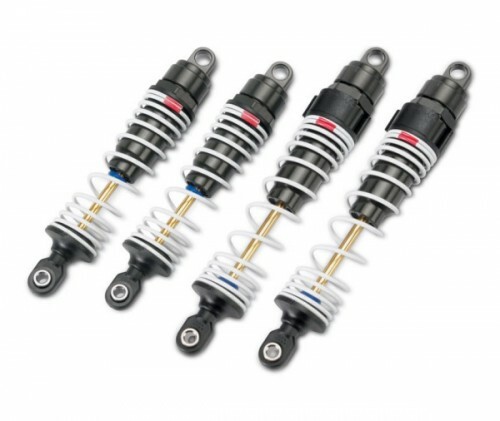 If you want to upgrade your shocks, watch your budget. 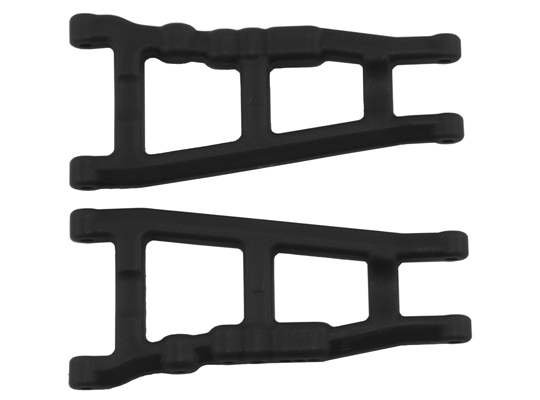 If you want to save money, many people have had good results with the Traxxas Ultra Shocks, by using aluminum shock caps and changing to Losi Springs. 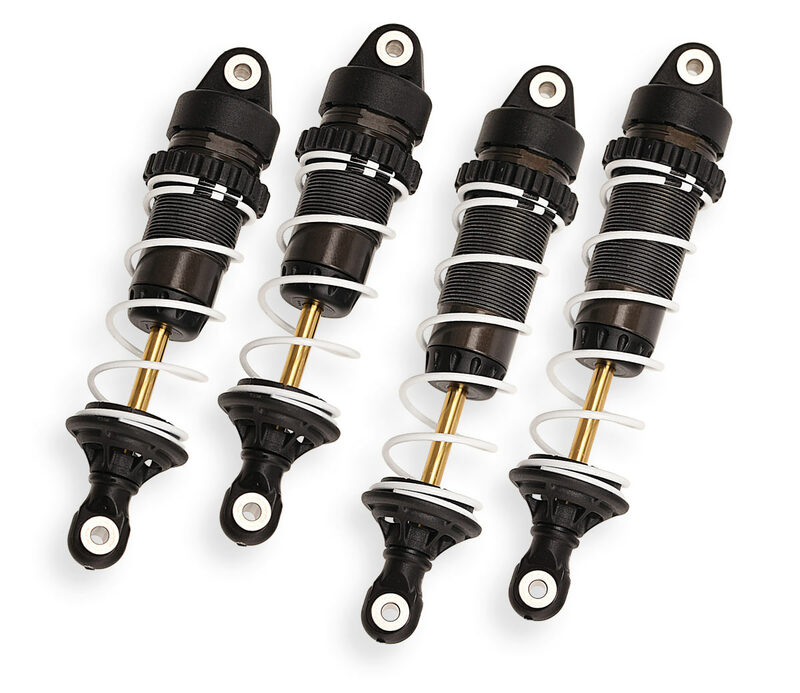 The Traxxas GTR Shocks are fairly new on the market and feature a threaded shock body which allows for quick and easy spring adjustment. The reviews for these shocks has been very positive. For the Front use Part# TRA7461x and for the Rear use Part# TRA7462x. The Pro-Line Power Stroke feature dual springs for added fine tuning but can leave a pretty big dent in your wallet. They are loved by many in the RC community. For the Front use Pro-Line Part# 6063-00 and for the Rear use Part# 6063-01. 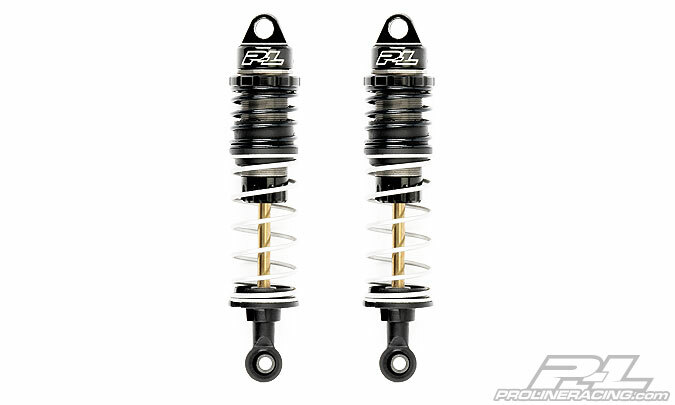 The Pro-Line Pro-Spec is the next generation of Pro-Line Shock Technology and feature a bleeder screw in the shock cap. Once again these will leave a dent in your wallet, but many people swear by them. For the Front use Part# 6308-00 and for the Rear use Part# 6308-01. 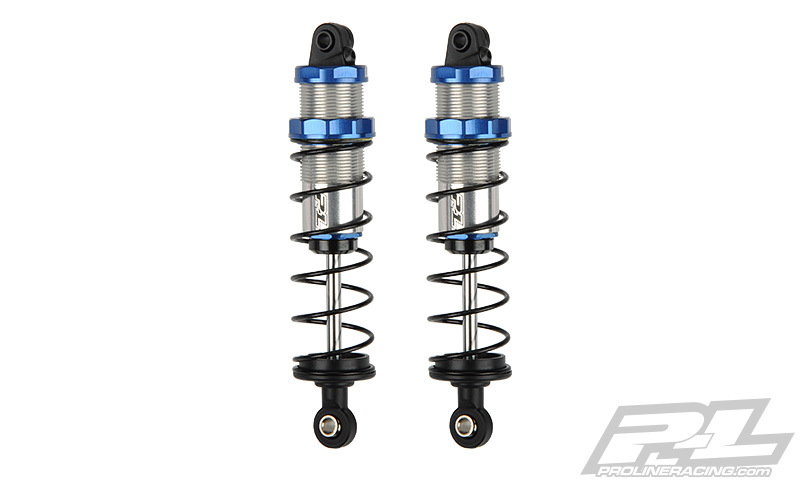 Losi SCTE Shocks – These are a big shock that will reduce body sag and help with handling. 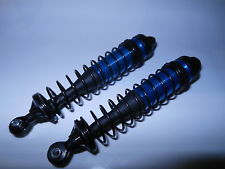 You can find these shocks by searching “Losi SCTE Shocks” on eBay or Google. 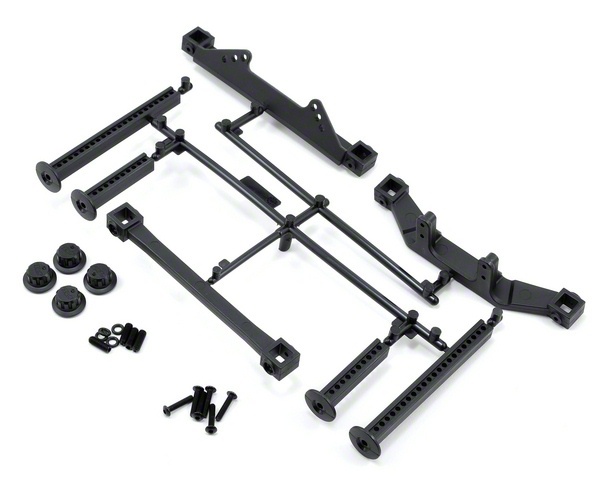 You can also build these yourself, see the parts list below. You may find that these shocks leave your Slash slightly higher in the back end. The last two pieces aren’t really necessary, they just add some style points. 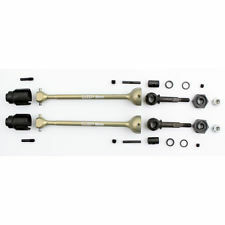 1 x LOSB2905 Losi Front & Rear Shock Boots (8) – These will eventually rip, fall apart and need to be replaced. Shock Towers are replaced to take unwanted flex out of the suspension, which in theory gives you a more percise feel and handling for the vehicle. Different Shock Towers can also offer more setup options. I have used the same RPM shock towers for the last 3 years and I have heard arguments for both plastic and aluminum. If I ever break my RPM shock tower, I will upgrade to aluminum. 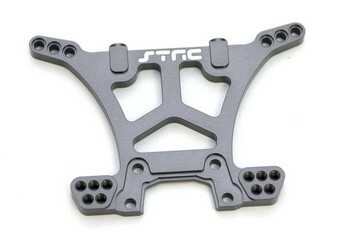 STRC make some of the best aluminum shock towers on the market. They come in a variety of colours, just make sure you get one for the front and one for the rear. Blue: Front Part# ST6839B and for the rear you need Part# ST6830B. 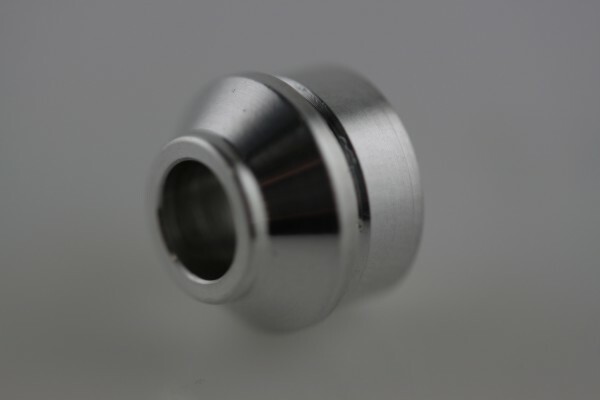 Gun Metal: Front Part# ST6839GM and for the rear you need Part# ST6830GM. Red: Front Part# ST6839R and for the rear you need Part# ST6830R. Silver: Front Part# ST6839S and for the rear you need Part# ST6830S. RPM make a very reliable plastic shock tower. Front Part# 70392 and for the Rear you need Part# 70362. 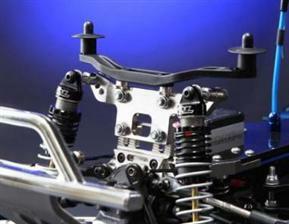 The Team RCE Shock Towers are made of aluminum and feature multiple adjustments. For the Front you need Part# SL44-FST and for the Rear you need Part# SL44-RST. 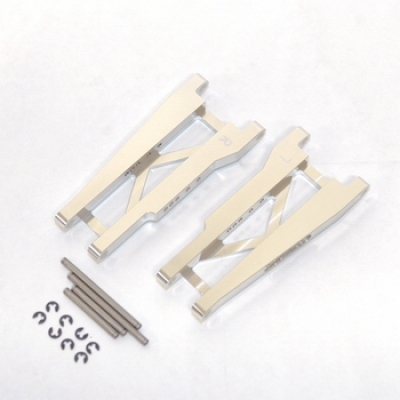 You can also find Aluminum Shock Towers made by companies like Traxxas and Integy. Tradionally bumpers are done for esthetic purposes. The Traxxas bumpers work great and issues with them are few and far between. RPM make a replacement Black Front Bumper & Skid Plate Part# 80022. Chrome Front Bumper & Skid Plate Part# 80023. Blue Front Bumper & Skid Plate Part# 80025. RPM also make Rear Bumpers in the same colours. 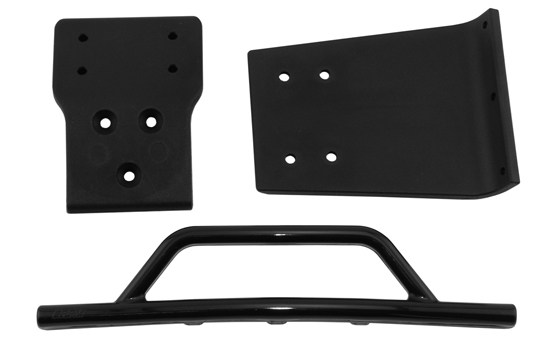 Black Rear Bumper & Skid Plate Part# 80122. Chrome Rear Bumper & Skid Plate Part# 80123. 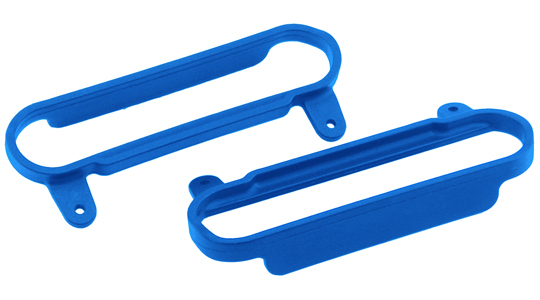 Blue Rear Bumper & Skid Plate Part# 80125. Traxxas Slash 4×4 LCG options were discussed in a previous post and can be found by clicking on Traxxas Slash 4×4 LCG Chassis Options. Personally I like Nerf Bars, but some people don’t even use them. When the stock Nerf Bars eventually break, upgrade to RPM. RPM Black Nerf Bars, Part# 80622. Blue Nerf Bars, Part# 80625. Upgrading from the Stock Tires will increase grip and handling. 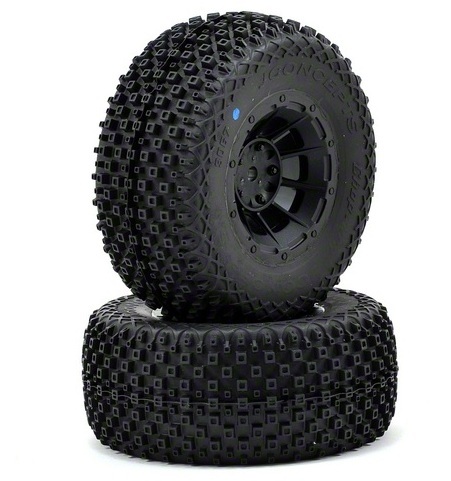 There is a huge selection of Tires available for the Slash 4×4. Get a Tire based on how you use your truck as there is a big difference between a Clay Surface Racing Tire and a Sand Paddle Tire. To help you get the Tire best suited for your needs check out the Pro-Line Application Guides, the JConcepts Tire Guide or the AKA Tire Application Charts. – Any Short Course Truck Tire will fit as long as it matches the industry standard 2.2″/3″ bead sizes. – You can get Tires by themselves or already mounted on wheels. – Tires come in different compunds. A racer may like a super soft compound and a basher may perfer a medium compound. A Soft Tire compound will wear quicker than a medium compound Tire, but provide better traction. Here are a few all purpose Tires from some of the big manufactures. Pro-Line Caliber, JConcepts Chopper and AKA City Block 2. The selection of Wheels available for the Slash 4×4 is almost as massive as the Tire selction. I can’t say one Wheel is better than the other, so just get something you like from a reputable company and you should be fine. – You can get Bead-Loc Wheels, which means no glue for the Tires, because they are held in place with a removable ring. – Bead-Locs are not recommended for the high speeds that brushless motors can provide. 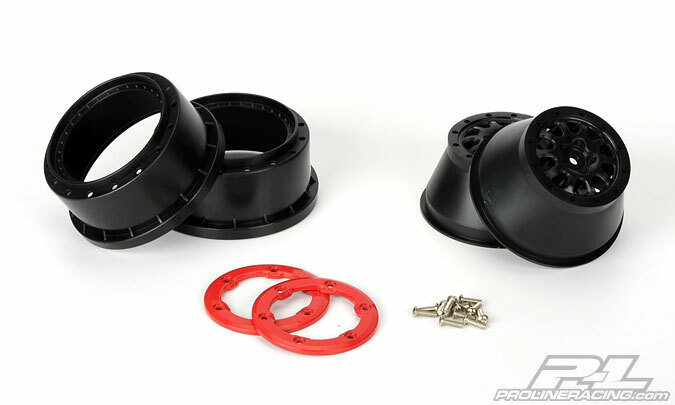 You find the same major players for Wheels as we had for Tires Proline, JConcepts and AKA. 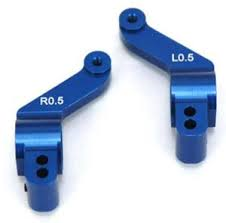 RPM Adjustable Height Body Mounts. This set comes with spacers that give you a couple of height options. RPM Part# 73932. 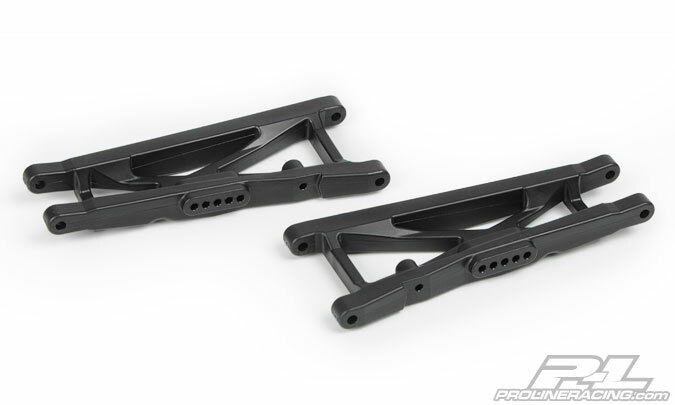 Pro-Line has an Extended Body Mount Kit that gives you multiple height adjustments and instead of body clips the Pro-Line option has a twist-on body securing method. Part# 6087-00. If you go with this option also consider the Pro-Line Secure-Loc Cap Replacement Kit. Part# 6070-02, just like body clips, it is good to have extra caps. Servos are usually upgraded after you strip the plastic gears in the Traxxas servo. You have the option to rebuild your stock servo with a relatively inexpensive rebuild kit, Traxxas Part# TRA2072. You can buy another stock servo Part # TRA2075 or you can consider a metal geared servo. Don’t worry too much about a waterproof servo. They are easy to waterproof yourself with plenty of tutorials available on YouTube. 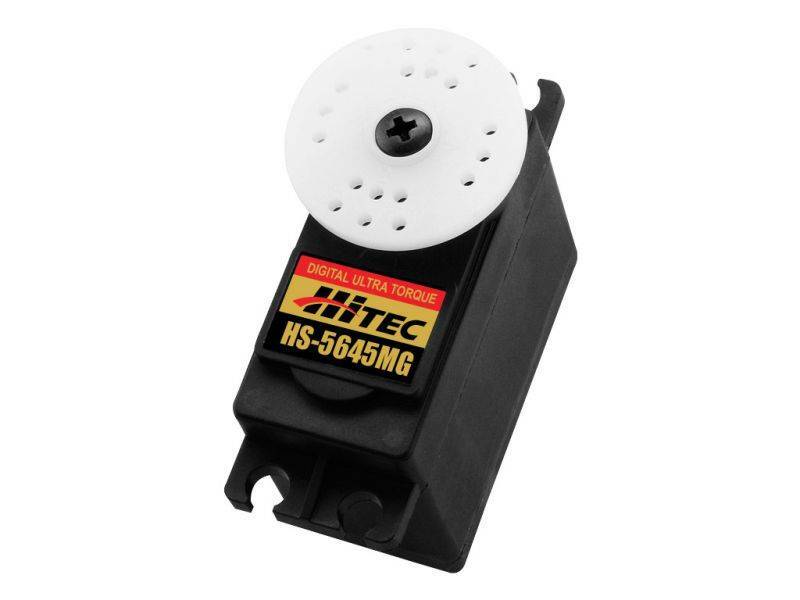 The Hitec HS-5645MG Digital High Torque Metal Gear Servo is a reliable metal geared servo which will bolt right up. It has a price point that should be considered if you are thinking of buying another stock servo instead of rebuilding. Part# HRC35645S. 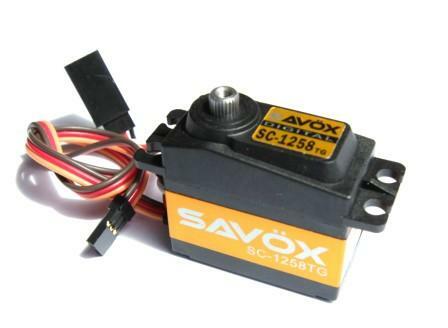 The Savox SC-1258TG Super Speed Titanium Geared Digital Servo is an expensive alternative compared to the stock servo and the Hitec but it is highly respected in the RC community and many consider it bullet proof. It will also bolt right up. Part# SAVSC1258TG. That is just two of the many servos options out there. Use the Servo Database to compare the stock servo with the one that you are considering to ensure you get what you want. 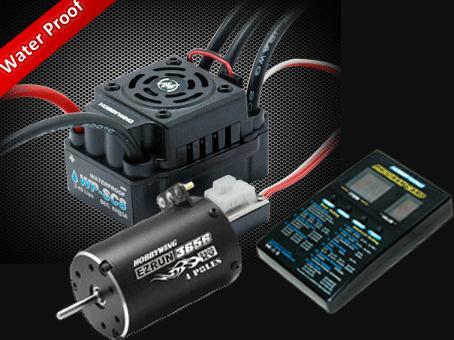 There are countless options and combos for Motors and ESC’s and I am not going to get into all of them. I will give some guidance so you can properly select your own combo. I will also include a few of popular combinations that are considered upgrades to the Venelion system. – Get an ESC that can handle the battery you want to run. If you want to use 6s Lipo, make sure the ESC can handle it. – If you want a waterproof ESC get one. If you don’t, you can waterproof it yourself (See YouTube), but that will void your warranty. Sensored motors can offer more timing options than sensorless and take timing measurements via hardwire sensors. They are also smoother and traditionally more expensive. Racers tend to use sensored motors. Sensorless motors take timing measurements via software. At slower speeds, the sensorless motors are prone to cogging. Not something for a crawler setup, but shouldn’t be a problem if you are a normal average user. 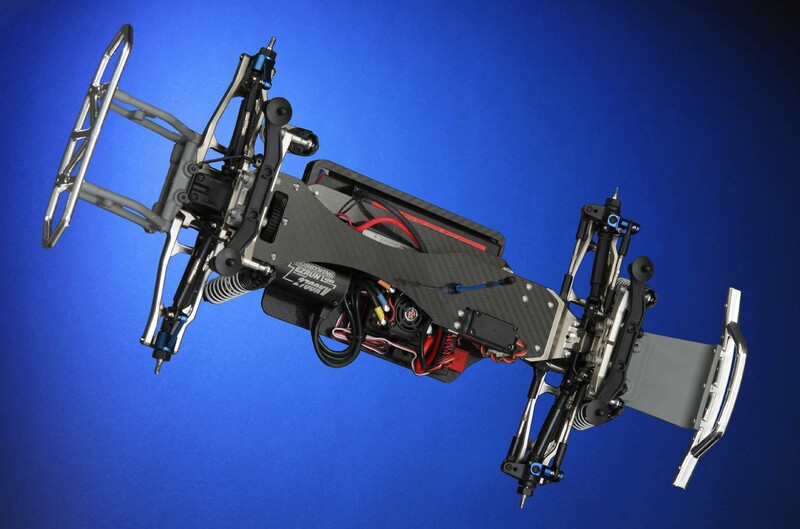 The HobbyWing EZRUN WP SC Combo is popular due to its price, reliability and waterproof ESC. The ESC will allow for variety of motor and battery combinations and the Hobbywing combo includes a LED Program Card. These combos can be found on eBay or at Hobbypartz. 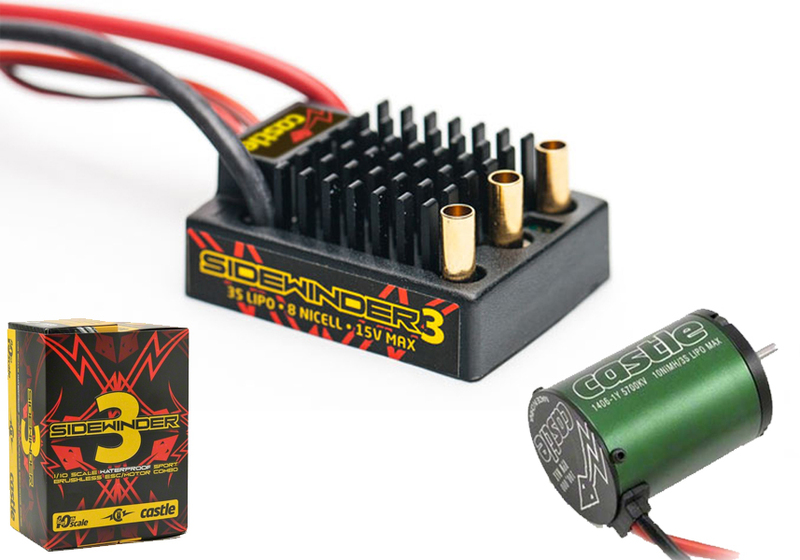 The Sidewinder 3 is a waterproof Motor and ESC from a proven and reliable company in Castle Creations. This combination is programmable as well, but you need to buy a the Castle Link USB adapter which is sold separately. If you want more info on Motors and ESC’s, then Squirrelod has you covered. He is a well respected member of the RC community and has helped many people with his numerous videos. The first video is Electric Brushless and LiPo guide/ Vid 8 Choosing a Brushless system pt 1. Electric Brushless and LiPo guide/ Vid 8 Choosing a Brushless system pt 2. Electric Brushless and LiPo guide/ Vid 7 Motor choices. Electric Brushless and LiPo guide/ Vid 11 Basic ESC programming.